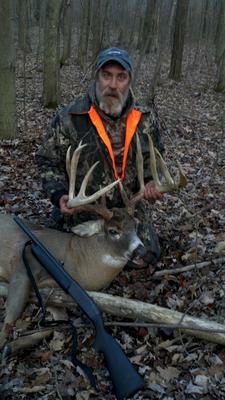 Big 14 point taken opening day by Wade Todd in Niagara County. Drawn in to around 30 yard with some Buckeye scent then taken down with a Remington 1187. Not a huge weight at 183, but green score at 194. Still amazed!